Complex Says: We all know fruit is a tasty and healthy way to fill up, but most fruit is too messy to eat in the car. Yeah, you could buy dried fruit, but dried apricots, cherries, cranberries and similar fruits are sticky--another car no-no. 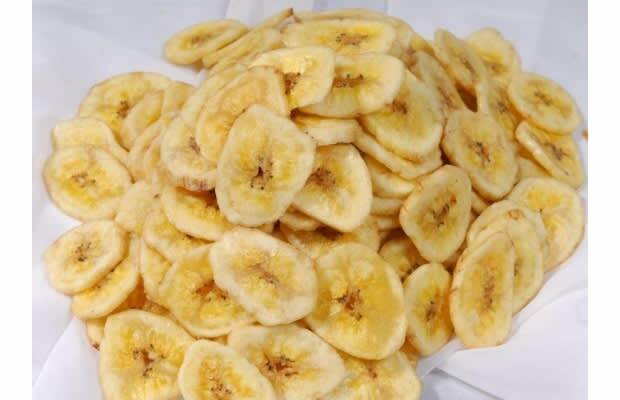 Enter these unsweetened dried banana chips from Nuts Online. Bananas are naturally very sweet, so you really don't need the extra sugar coating of some other brands. They're also packed with vitamin B6, vitamin C, and potassium. For lower-fat alternatives, try Nuts Online's Freeze Dried Bananas or Simply Bananas.